These are reminiscent of some of the medallion coins from previous years. This year they look fantastic. These are a retail exclusive meaning you wont find them in hobby boxes. 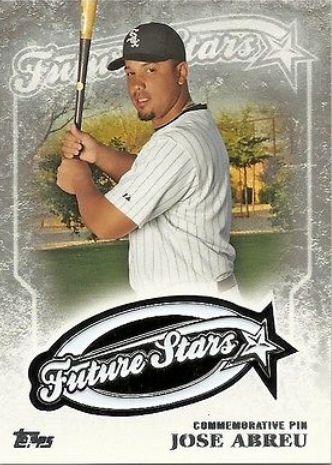 There are big names, new, veteran and retired stars with cards so there is plenty of selection. Right now these cards are join from between $6 and $20 depending on the player. The checklist is below. 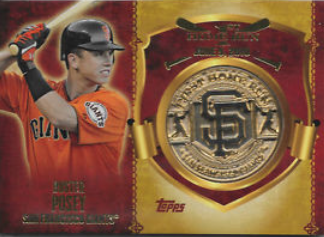 If you can’t wait to try to pull one of these from a pack, you can use this link to find all of the currently available ones on eBay. Now onto hobby pack finds. 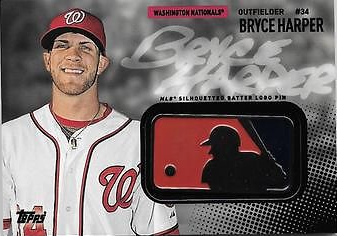 For this one the checklist is also below and if you just want to purchase a single of your favorite player, use this link to find all of the currently available ones on eBay. These are very cool cards with actual stamps and coins from the past. 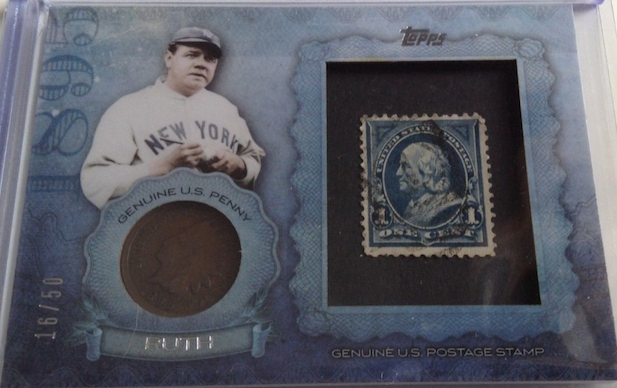 Obviously the older the player the older the coins & stamps with Babe Ruth clocking in as the oldest with the year 1895. No point in pricing these at this point, its too early and these will fluctuate quite a bit. Have you guessed? The checklist can be found below and you can use this link to find all of the currently available ones on eBay. These are simple in design and reserved for the next generation of MLB Stars. They seem to be going at about $10 and should be a nice addition for prospectors. The checklist is below and you can use this link to find all of the currently available ones on eBay. Make sure you come back for the next Hump Day Hit and check out the Checklists below.